How can silver be cleaned fast and easily? The answer is an immersion bath in the Tifoo Silver cleaner: it makes tarnished silver bright again. Without a lot of wok, without a lot of polishing. Many silver(-plates) objects like silver cuttlings, jewellery or clocks will have their brightness back - thanks to this cleaning process. Cuttlings made of nickel silver or aplaca can also be treated without any problems. Because of contact with sulfuric compounds (e.g. eggs) or an exposure to air, silver objects blacken relatively fast. To remedy that, you can dip your silver in a bath of Tifoo Silver cleaner and after a little time, you can already take out the cleaned silver. Depending on the degree of blackening, you just have to wait a few minutes. With this silver polish, you will quickly have your silver cuttlings, jewellery and coins cleaned. 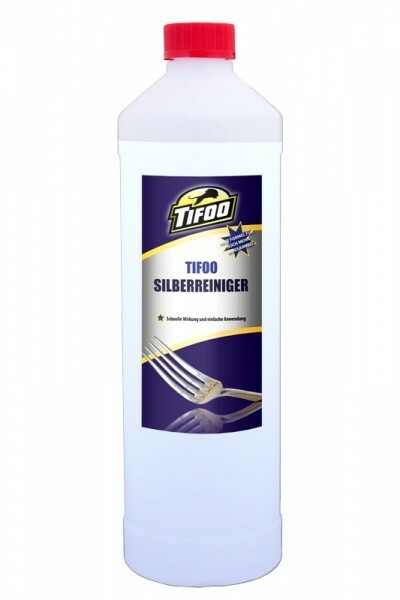 The Tifoo Silver cleaner - the perfect product for polishing, cleaning and caring for silver. Detailed instructions are included. We will always be at your disposal to answer to question that you might have. Related links to "Silver cleaner"
Instruction manual for Tifoo Silver cleaner as PDF file. 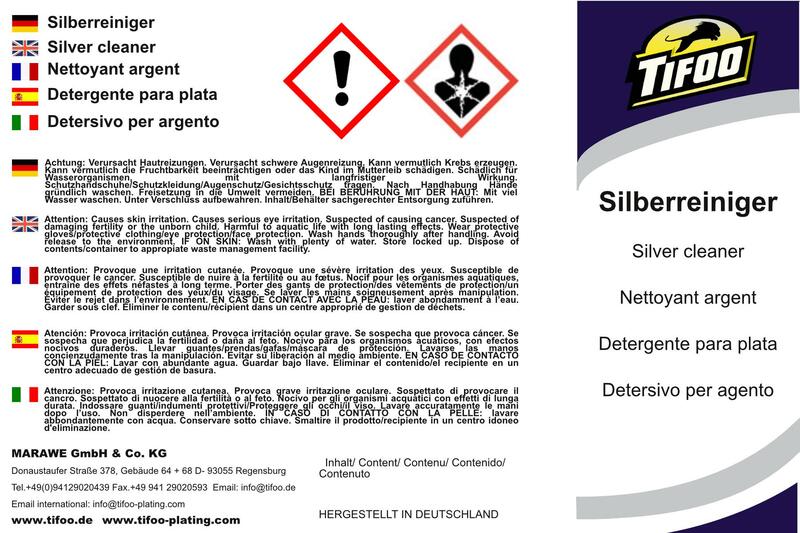 Customer evaluation for "Silver cleaner"